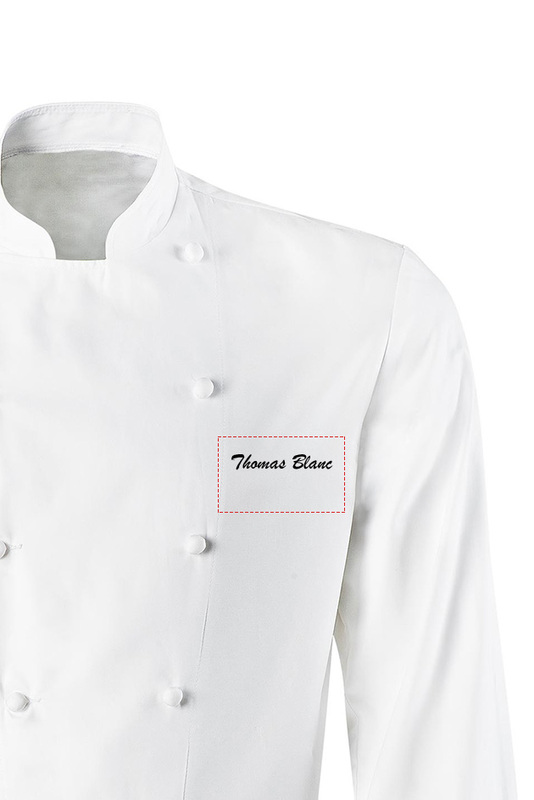 Chef's Jacket in 100% PIMA PREMIUM cotton. 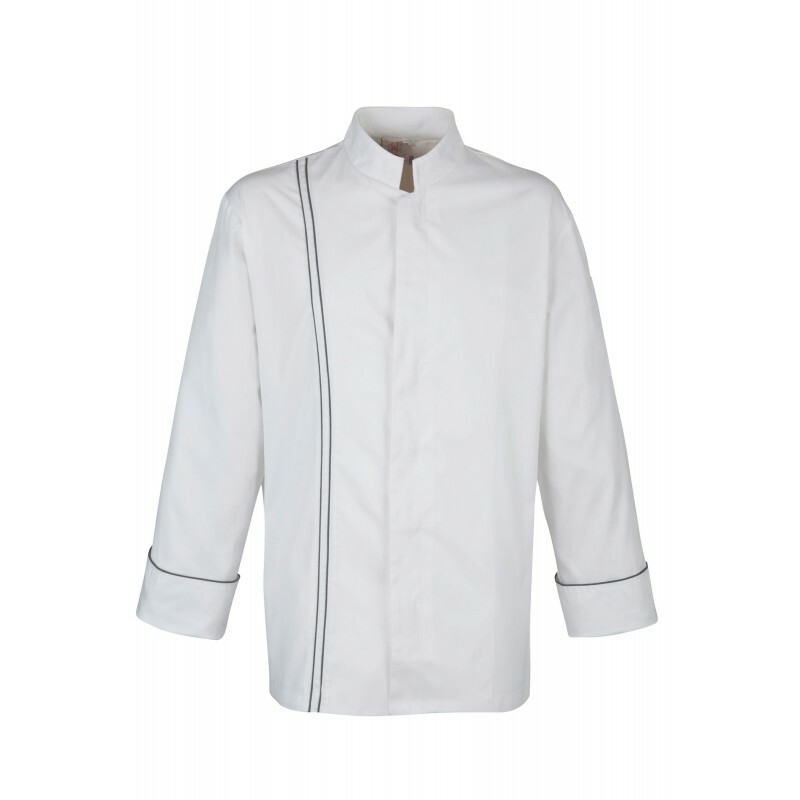 Long sleeves, cuffed sleeve with contrasting grey piping. Terry cloth inside collar for comfort. 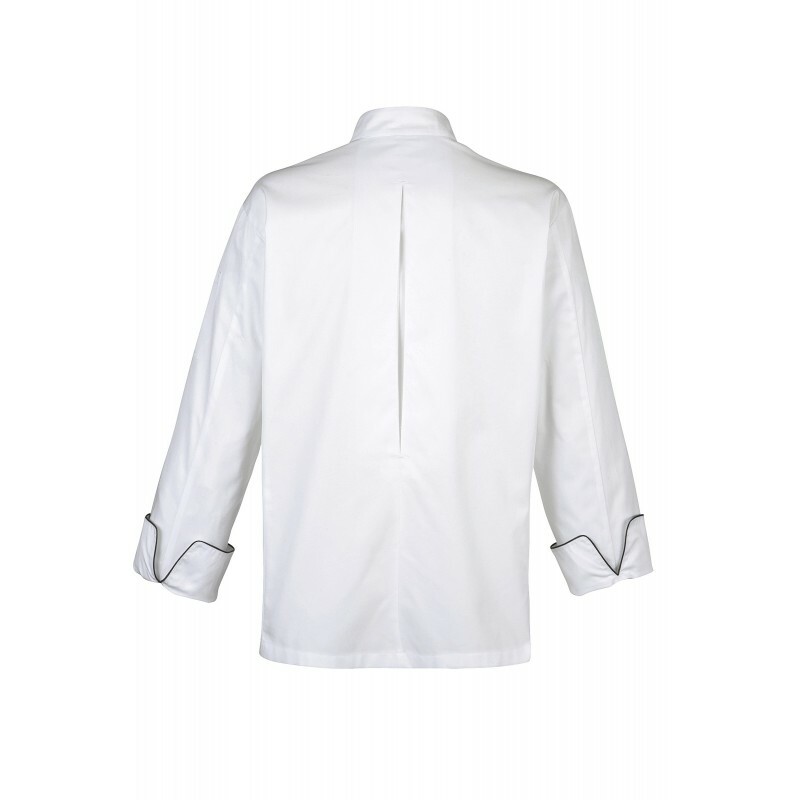 Concealed 6 button front fastening. Distinct grey double line. Pen pocket on left sleeve. Underarm airvents. Comfort pleat in back. Registered design.